Our hotel is located 4 km from the centre of Calvi. Occupied since the Neolithic era, the site of Calvi has always been an important stronghold in the history of Corsica. Under the Roman Empire, the town had no less than 14 centuries and was, according to a historian, the “most famous port on the island” in the 2nd century. Under Genoese rule many centuries later, the strategic nature of the city was affirmed by the construction of the citadel. This magnificent fortress was the envy of many and had to withstand numerous sieges such as one led by Nelson in 1794. Today considered an icon of the town, the fortress will leave you with unforgettable memories. As you wander its paved walkways, enjoy the superb panoramas over the bay as well as the numerous monuments that it houses. Discover the Saint-Jean-Baptiste cathedral built in the 17th century, the Saint-Antoine oratory (a listed historic monument), the former Governors’ Palace and the house where, according to an unconfirmed legend, Christopher Columbus was born. During your stay at our hotel, discover all the other wonderful things Calvi has to offer. In the lower town, discover the hustle and bustle of Rue Clémenceau, which becomes pedestrianised in summer. At the end of the road, you’ll arrive in the forecourt of the Sainte-Marie-Majeure church, a beautiful Baroque building with shades of pink. 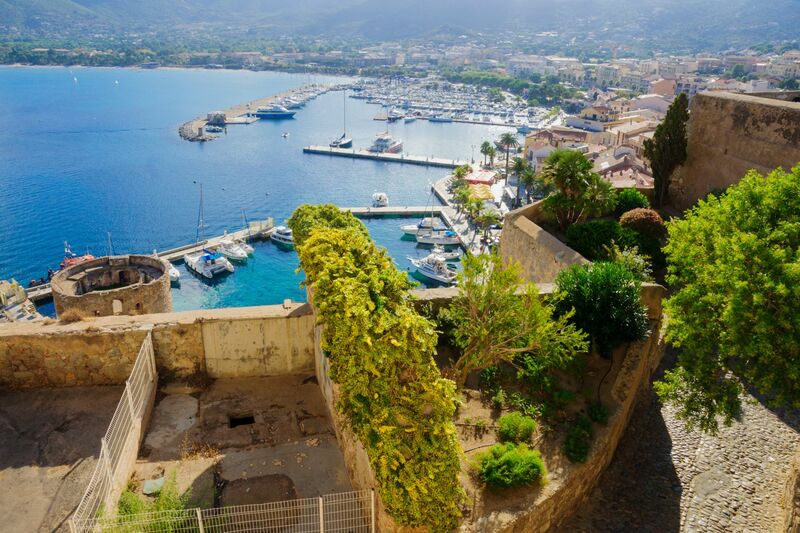 Also take a walk by the commercial port, which hosts the Calvi On The Rocks festival at the start of July, and admire the Tour de Sel, constructed by the Genoese in 1495. Then take a ride on the little seaside train to reach La Pinède, the town’s most famous beach which stretches out over 5 km and is perfect for numerous nautical activities. Finally, no visit to Calvi would be complete without watching the sun set over the wild coast on the Revcellata peninsular. 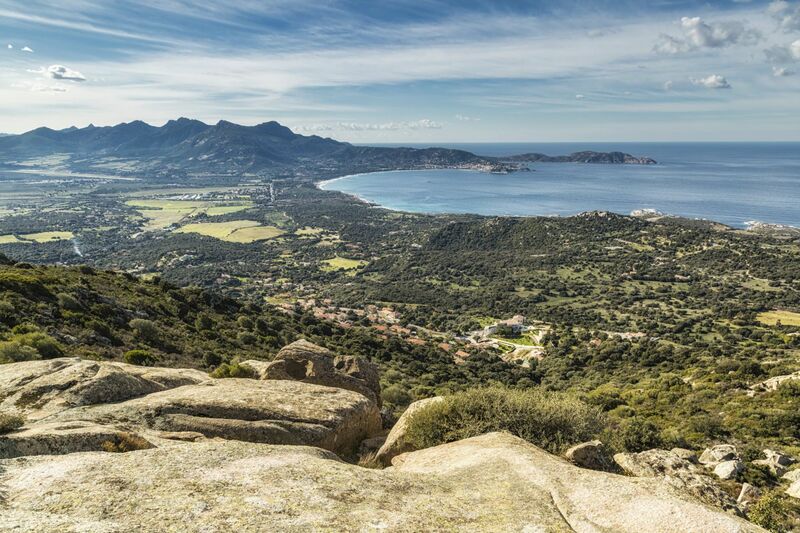 Between the sea and the mountains, this part of Corsica offers an incredible range of landscapes. Go walking, visit villages and discover the local crafts. Discover some of the many treasures of Corsica during your stay, including the Scandola Nature Reserve, the Gulf of Girolata, the Calanques de Piana and Bonifacio.